Line 1 in New York's subway (the West side line, former IRT). The line begins at South Ferry at Manhattan and goes to Van Cortlandt/­242nd Street in the Bronx. 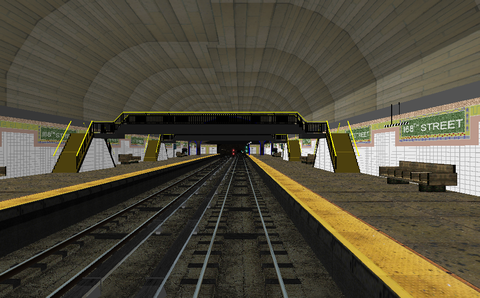 Mix of detailed and less detailed stations, some curves are soft and some switches are realistic. No landscape details besides the elevated northern part of the line.